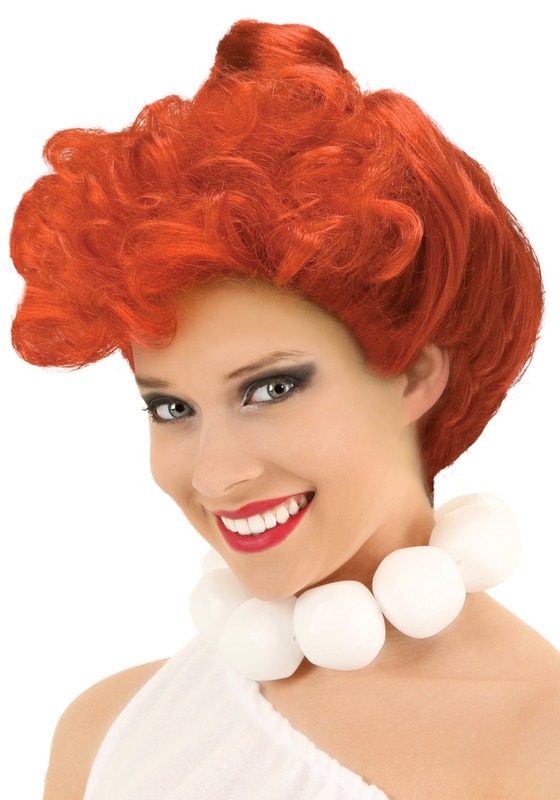 It's a surefire way to have a yabba dabba doo time! Are you sitting there asking yourself what the heck is a "yabba dabba doo time" and what exactly does it entail? Well, we'll be the first to tell you guys that you definitely want to have a yabba dabba doo time because that means that you'll be having the time of your life. If you want to live like it's 10,000 B.C. 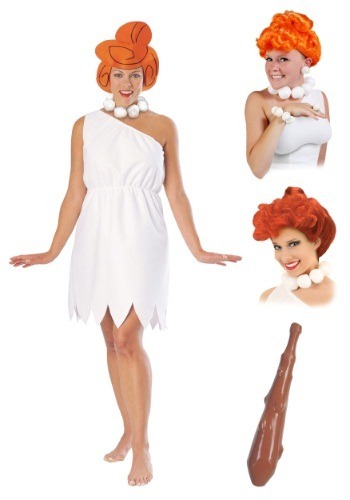 and take a break from your technological devices and social media accounts, and truly know what it's like to have a blast from the past, then this Wilma Flintstone package can make it all possible. Down at Bedrock, Fred, Wilma, and their prehistoric pals usually go bowling or take their foot-powered car out for a spin in order to have a fun night out. 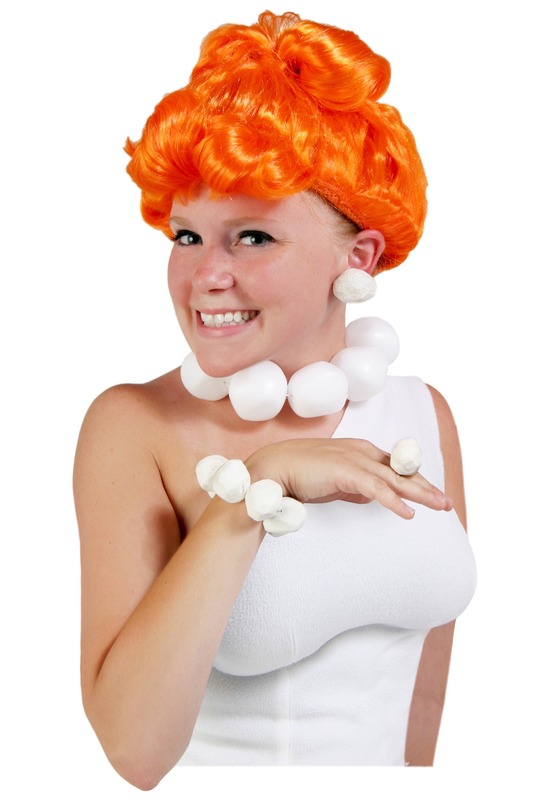 That's how they have a yabba dabba doo time and if that sounds like a fun time for you, then pick up this package. You can pretend that you took a time machine back to the prehistoric ages so you could party with the dinosaurs. You'll receive an off-the-shoulder dress, a headpiece, a wig, 2 necklaces, a bracelet, a ring, a pair of clip on earrings, and a toy club. It will be like you went shopping at an archaic shopping mall! Just put on this cavewoman inspired garb, meet up with your beau Fred Flinstone, and get ready to have the time of your life. The only thing that you'll need is a dino-crane that moves boulders, which may prove to be a little more difficult to buy on the internet!